My to-bake list is a mile long. I always get so excited for fall and the holidays, I love to bake for friends and family and neighbors. I bookmark recipes all year long and usually end up with so many recipes I don't know where to start. 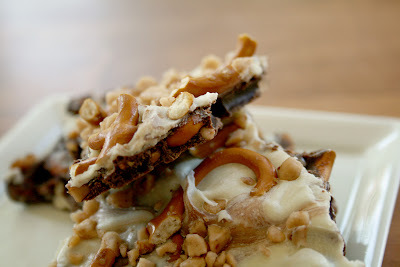 I've had this Pretzel Toffee Bark recipe on my list forever it seems and I thought I needed to test it out before making it for friends and family. Because that's the kind of girl I am. The great thing about making bark is it's fairly easy. 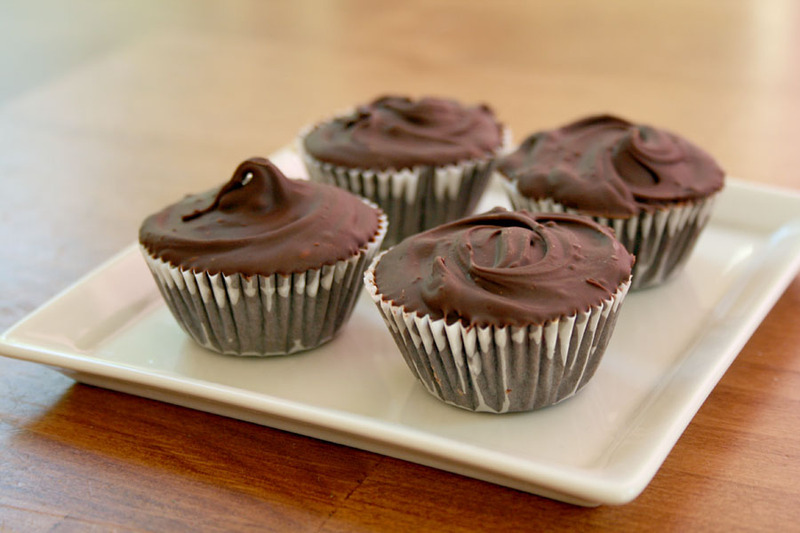 If you can melt chocolate, you can make bark. This bark is a layer of dark chocolate that is mixed with toffee pieces and pretzel pieces. It's then covered with white chocolate and toffee and pretzel pressed into the top. It's easy, it's fast, and it's delicious. Perfect for holiday gift giving!! I cannot recommend this bark enough. It would be a refreshing change from peppermint bark over the holidays. Although I do love peppermint bark too! I made this bark with some girlfriends one night and it's so easy you can make this AND enjoy a watermelon martini at the same time. 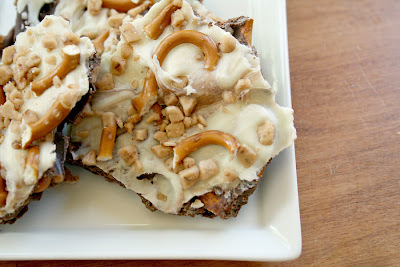 Here is the official recipe, from the Brown Eyed Baker food blog: Toffee Pretzel Bark. Happy Friday and thanks for stopping by!! From the first day I bought my scalloped circle punches, I've been in love. I have the 3 inch and 2.5 inch punch and I use them all the time. I have seen these grid/block design layouts and I finally got around to trying one. And I brought out my trusty punches to help me out. I used some lovely Lost & Found My Minds Eye papers that I purchased from Scrapbook Express. I love the matching buttons and bling and labels that go along with the papers. My favorite is the big bling/pearl swirl. No wait, I think the buttons are my favorite! I love the blues and greens of this line, makes me think of the beach. Do you think I could take my scalloped punches to the beach? That would be awesome, my two favorite things in one place. I'll try not to get sand in them. I have a love/hate relationship with my scraps. I love to save them to use for a rainy day, but it rarely rains in Southern California. I hate to store my scraps and then I forget I actually have them and then end up in the recycle bin anyway. So in an effort to tip the scales more toward love, I decided to tackle my scrap pile. And make some cards. First up...Bo Bunny scraps, Papertrey Ink sentiment and using the Cricut for that strawberry! Isn't it cute with the added bling? Bling makes everything better. Next up...Echo Park scraps, lace paper scrap and more Papertrey Ink stamps. Yes, bling does make everything better!! They like each other, it's proof!!! Actually, i'm kidding. They really do like each other. I am lucky that they get along so well. Most of the time. Kayla thinks Kevin is AWESOME and he watches out for her on the playground at school. Although he's getting too cool to admit that. Hope you're having a great Saturday! We have soccer, soccer, and more soccer today. Hope you have a fabulous weekend! Oh, Pumpkin. It's the quintessential fall flavor. Making pumpkin muffins in the spring just doesn't seem right. But come September, pumpkin is the hot flavor for sure! 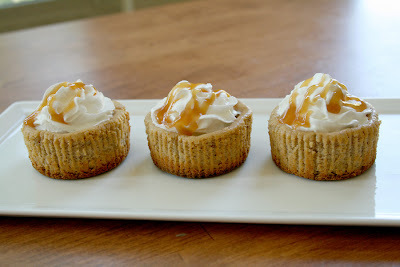 And I jumped right onto the pumpkin bandwagon to make these great little cheesecakes. 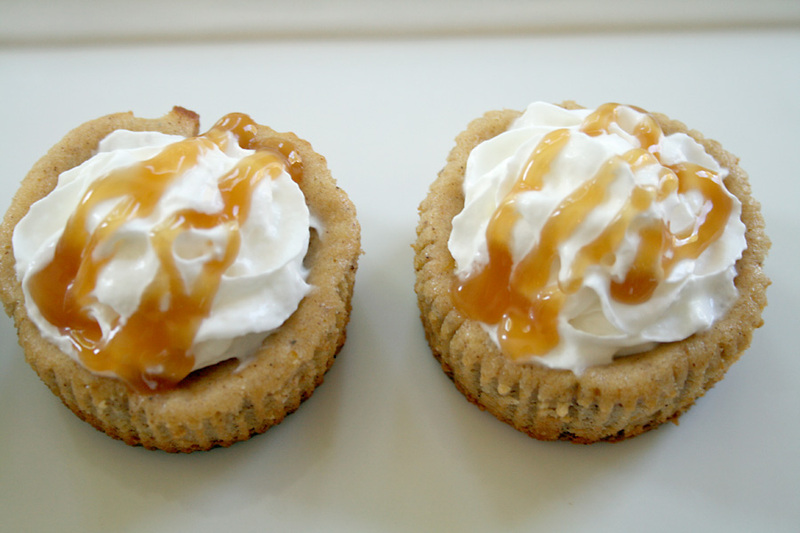 These little cuties were made in a cupcake tin. You add the cupcake liners, drop in a gingersnap for the bottom crust and then fill with pumpkin cheesecake mix. So easy! 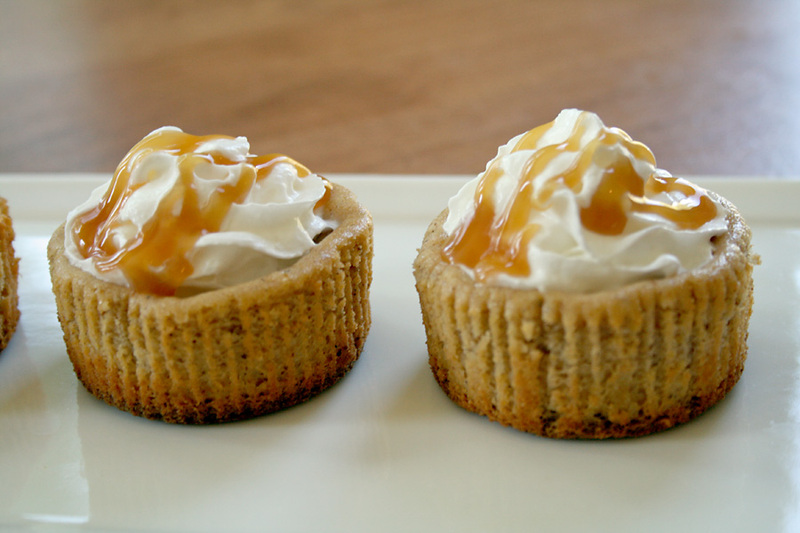 Add some whipped cream and a drizzle of caramel and you got yourself a nice little pumpkin treat. To kick off the pumpkin season! 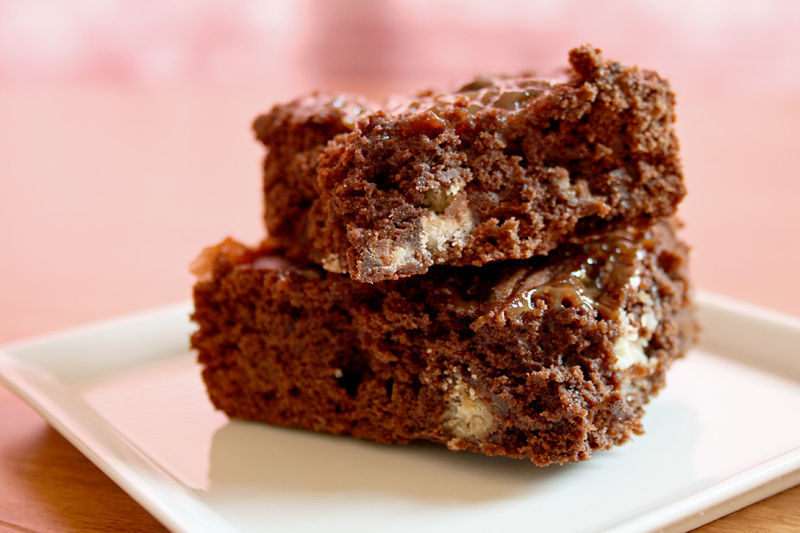 If you are in the mood for some pumpkin baking, check out some of these recipes. I can personally vouch for them all. Hi Everyone! Is it fall yet in your neck of the woods? It's not really fall here, still hot and more hot. But it is cooling down a bit at night, which is definitely nice. And my husband made Chicken Tortilla Soup tonight for dinner and it was fantastic! Here is the link to the recipe we used: Chicken Tortilla Soup. So good, even better as leftovers. And here is another kind of yummy soup, Jillibean Soup! It's Dutch Mustard Soup again and some fun corrugated cardboard shapes! Yes, i'm still madly in love with Baker's Twine. The Twinery has some new colors out that i'm dying to get my hands on!! Hope your Tuesday was fabulous...Thanks for stopping by! Happy Monday! When I was on my scrapbooking retreat last weekend I brought along some Jillibean Soup papers I've had for a while and haven't had the time to play with. I really loved this Dutch Mustard soup collection when it came out earlier this year. And I finally had a chance to use it for something. We had a great camping trip to the Sequoias last summer and this is just one of a zillion photos I took on that trip. This hammock is always a big hit when we are camping!! I love all the letter stickers and embellie stickers that come with the Jillibean Soup lines. Lots of fun punchouts and shapes as well. I *heart* Jillibean Soup. I hope you all had a great weekend. I met up with some girlfriends this weekend for a baking and martini night. I can't wait to show you what we made!! Thanks for stopping by today! I found something out this week. Brownies are hard to photograph. But I also found something else out this week. They are EASY to eat!!! Bites of twix cookie bars mixed in with rich chocolate and pockets of caramel. I'm not making this stuff up, people. Look at the caramel. These were super easy to mix up. 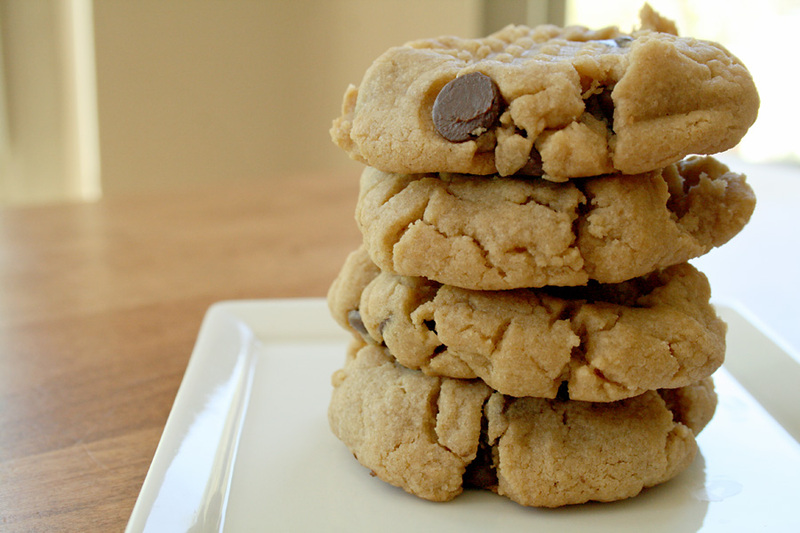 It's a one-bowl recipe and they bake in about 25 minutes. They would make a great Saturday night movie night treat! 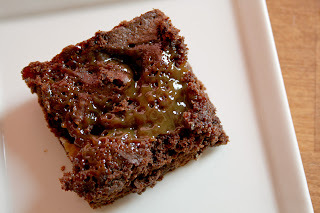 Here is the recipe from the Two Peas & Their Pod food blog: Twix Caramel Brownies. When Scrapbook Express got some My Mind's Eye 6x6 paper pads in stock, you better believe I grabbed them off the shelves. The worst part was trying to decide which ones to get. I love love 6x6 paper, they are perfect for cards. And cards I made (too many cocktails at scrap retreat = making lots of cards, not layouts). These papers are from the Honey Cake paper pad. I layered the different patterns, added the circles with my trusty punches, a ribbon bow and i'm done. Do you like that the sentiment is off centered? See previous statement about cocktails. And one more...this time using alot of the yummy orange in the papers. 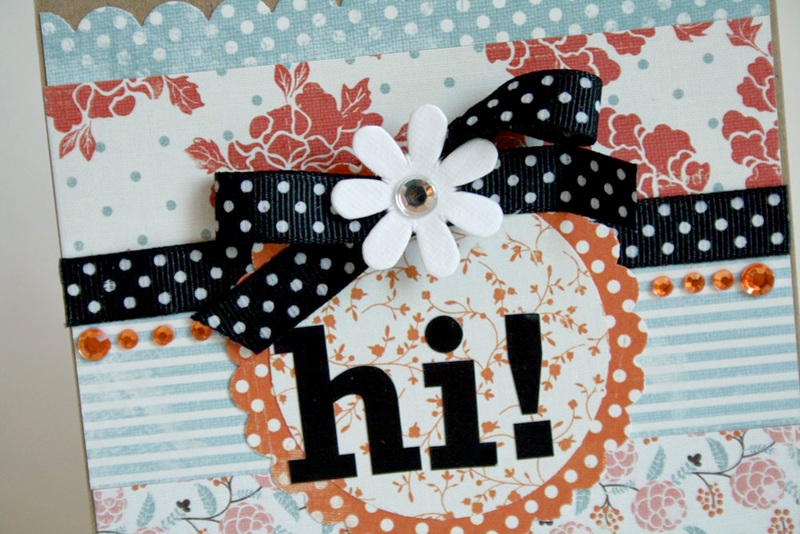 I love this fat polka dotted ribbon from Bo Bunny. Love that it's got polka dots on both sides so when I tie a bow, I don't have to fiddle with it to get the pattern on the up side. I know, my life is rough. Definitely check out all the great new My Mind's Eye papers at Scrapbook Express. And don't forget they are having a Design Team Call RIGHT NOW!! Go check it out! I have found a new crafty obsession...chalkboard paint. There are so many fun chalkboard ideas on Pinterest and the in blog world, I knew I had to find some and play with it. There are two kinds that I found. One is actual chalkboard paint. It comes in every color, including black. The other is chalkboard spray paint. I found mine at Joann's, they also have it at Home Depot and Michael's. The spray paint gives a nice even smooth finish and I knew I wanted to use it to make these...Chalkboard wine glasses. I masked off the area I wanted to paint with masking tape. I then covered the entire glass with newspaper. Then I followed the instructions on the can and sprayed! I would have a tutorial if I had thought of it before I actually started spraying. But I was too anxious to try it out. I now want to turn every surface in my house into a chalkboard. These were a gift for a wine loving friend. I also made her some chalkboard coasters which I will be posting a tutorial for soon. I see lots of homeade holiday gifts in my future!! Happy Monday!! 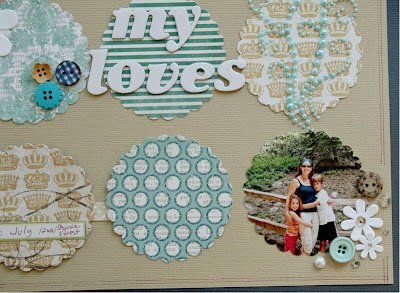 I was on a scrapbook retreat this past weekend and always have so much fun with my girlfriends. And I actually did get some scrapping done. That's always a bonus...on a scrapbook weekend. 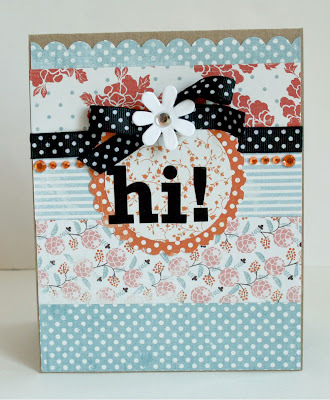 This month at Citrus Tree Studio, I got to play with a fun altered item. It was the Kaisercraft Layout Stand and let me show you what I did with it. I covered the stand with blue cardstock from the September Citrus Tree Studio kit. I painted the back white and covered it with a thick layer of Stickles. I then decided to use the cardboard insert that came in the packaging to create a frame for the stand. I painted the cardboard with stickles and paint and then added my layers, photo and flowers! I just love these colors, they are perfect for a beach photo of my two cuties. Lots of rolled flowers and inked and crumpled leaves! This was such a fun project. Not only do I now have a layout stand but I also have a piece of artwork for my living room. This would make a great gift for a friend or family member. And with the holidays coming up (yes...the holidays are coming!!! ), it's a great idea for a gift! Thanks for stopping by today...Happy Monday! I recently went to a Pampered Chef party and despite the fact the host treated us to the most wonderful cocktails and I seriously forgot what I ordered until the day it arrived, this little gadget made it onto my order sheet. I love this thing. How did I live without it?? 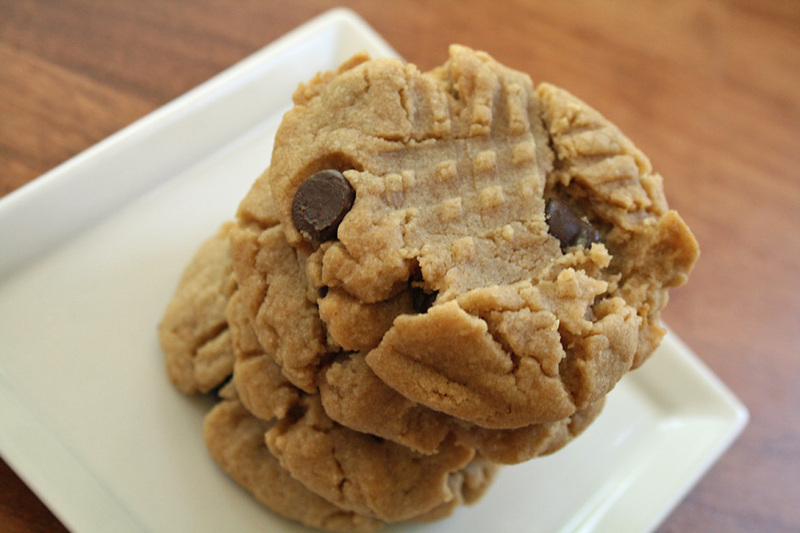 Evenly shaped cookies, no finger mess...it's genius. And so are these cookies. 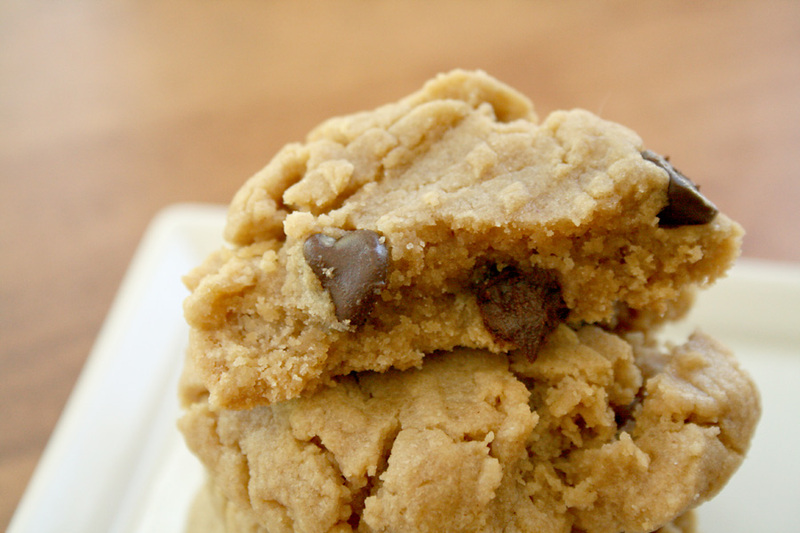 It's a classic peanut butter cookie recipe with the addition of chocolate chips. Does it get any better? I think not, unless you are using your brand new cookie scooper. That makes it a whole lot better. Please go to the How Sweet It Is blog to see the recipe I followed: Puffy Peanut Butter Chocolate Chip Cookies. Happy September! Okay...Happy 6th of September! The new kit at Citrus Tree Studios is here and it's a beauty. It's called Annie's Attic and included paper and chipboard from Grant's Studio, Bazzill paper flowers, Pink Paislee alpha stickers and more! Yes, i'm still scrapping photos from our trip to Maine last summer. I have so many good ones that need scrapping!! I added some paint to the base cardstock using some bubble wrap as a stamper. I also added some inking around the edges and I love the glitter butterflies! I also tried layering some baker's twine behind the flower. What do you think? These were photos from the Sam Adams brewery in Boston. We spent a fun afternoon tasting beers (my kids even got some fun root beers to taste). The best part? We took the train, so no need to worry about driving home. Happy Labor Day everyone!! I hope you are all enjoying your day off. We are taking it easy as my little one is getting sick. I'm not surprised, since they just started school. So her and I decided to do some crafting this morning. 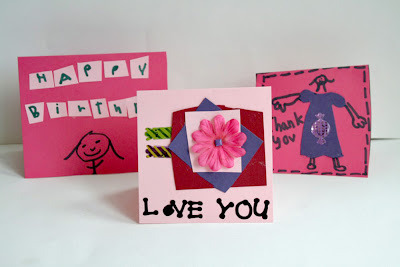 Citrus Tree Studio has a facebook page and there was a fun card challenge this weekend. It was to use a Paper Crafts sketch for a card. We were all over this! And here are the cards that my daughter made. She used the same two sketches, plus a third. She was especially proud of the one front and center. She loved layering the squares and picking out and attaching the brad to the middle of the flower all by herself. We had fun crafting together!! Hope you all have a great Labor Day...thanks for stopping by! Have you seen all the Halloween candy in the stores already? And the Halloween decorations at all the craft stores? It's crazy how early everything is out. I did hear there are already Christmas decorations at Costco, but I haven't witnessed that myself. Something about fall and the holidays makes me want to bake. Even when it's still 90 degrees out. Luckily for me, these little goodies didn't even have me turning on the oven. Don't they look all sweet and innocent sitting on that plate? Like they want to be friends with you and you're not going to be able to say no. But when you really break into these bad boys, get through the outer shell, you will realize you may have more than what you bargained for. 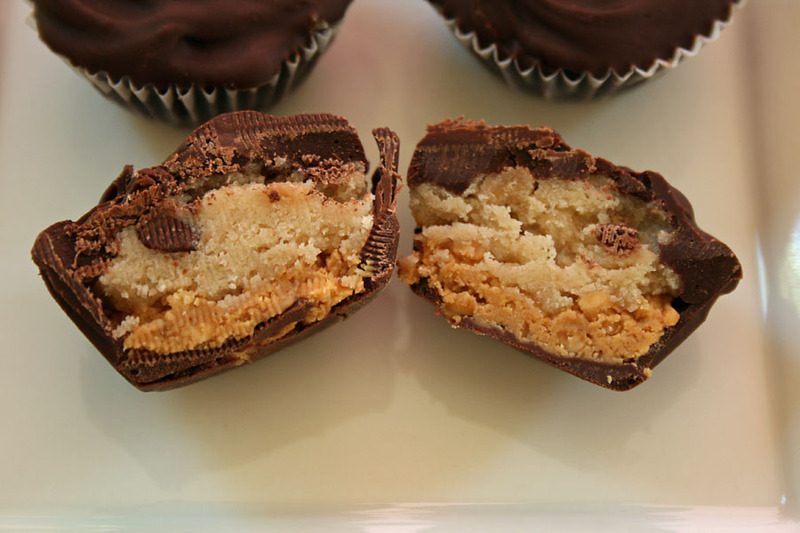 Cookie dough AND peanut butter in these chocolate cups?? Yes, please, and thank you!!! All this and I didn't even have to turn on the oven. 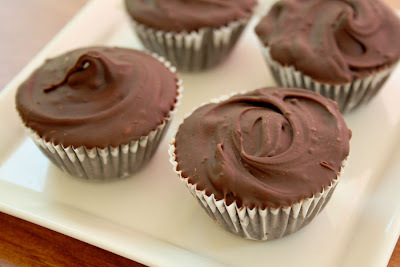 Do you want to try these? Please go here: Cookie Dough Peanut Butter Cups. You can thank me later. I am posting my Papertrey Princess challenge today! It's an easy one, I hope. My challenge is to make and use a banner on your card. Easy, right? I used a piece of long thin rectangular paper, cut the ends into triangles and then folded it on itself. 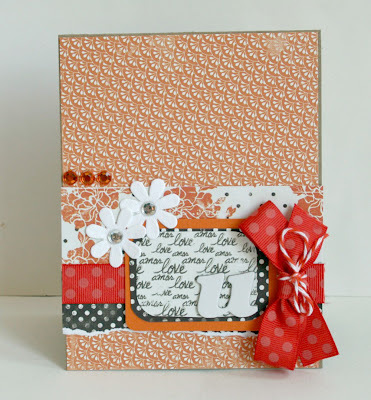 When I finished this card, I realized that I didn't do any stamping!! I had some stamps right on my desk and planned on using them, but I never did. Okay Papertrey Princesses...let's see a banner. It can be a traditional style banner or a sentiment banner or a banner using hearts, the sky is the limit!! And if you want to check out all the princesses, their blogs are in my right sidebar. Lots of great talent and inspiration to be found at those blogs!